This Fire Lab is dedicated to Sudharshana, which is one of the celestial weapons of Lord Vishnu, preserver and sustainer of the universe. 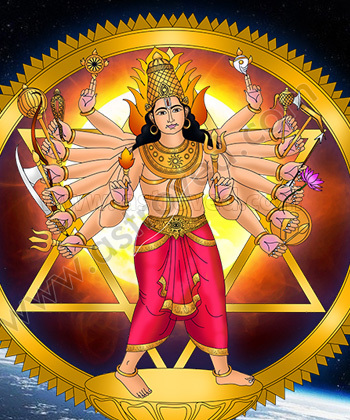 He is one of three Gods in the Holy Trinity of the Hindu Pantheon and is depicted holding the Sudarshana Chakra (wheel or discus) in one of his hands. This perennially spinning discus with 108 serrated edges is invested with tremendous powers and can scythe through negative forces effortlessly. This divine weapon instills fear in the heart of demonic forces and is always triumphant. Performing the Fire Lab for the Sudhashana Chakra can overcome even the most resilient of enemies and relieves us from sufferings and worries. 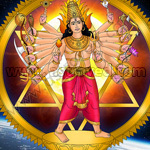 Perform the Sudarshana Fire Lab to tackle unforeseen dangers and perils which hamper your path to success. The unique Fire Lab ceremony for this divine weapon is performed to invoke its tremendous powers, which offer protection from negativity, enemies and evil eye. It purifies our minds and souls, rejuvenates health and grants success in all endeavors. The vibrations produced by this ritual seep through our being, infusing us with the confidence to handle even the most complex tasks. The Sudarshana Fire Lab is performed by Vedic specialists familiar with the significance of the procedure, while maintaining the sanctity of the ritual. Mantras and chants befitting the ceremony are recited with deep reverence. 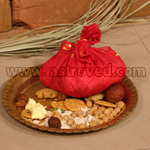 Suitable times are prescribed by our astrologers, who lend guidance in every aspect of the ceremony. Generally, Wednesdays and Saturdays are considered auspicious, and in some cases it is done during the 11th Moon (Ekadasi), 12th Moon (Dwadasi) or Full Moon (Poornima), as these are all favorable for Vishnu. However, there may be other times they will schedule based on your birth star or other considerations. 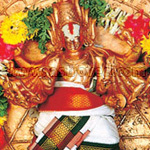 This Sudarshana homa (Fire Lab) performed for 6 months, once a month, invokes the blessings of Sudharshana Chakra (wheel or discus), the mighty weapon of Lord Vishnu. This powerful homa can help you overcome negativities and enemies and to relieve you from inexplicable sufferings and worries. It can also help stop unforeseen dangers and perils from your pathway to success. 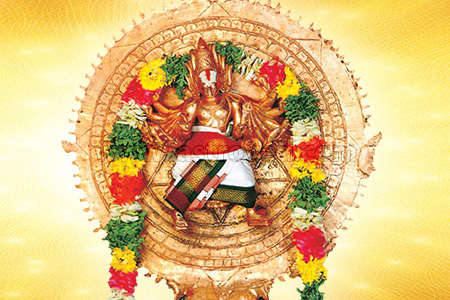 This Sudarshana homa (Fire Lab) performed for 12 months, once a month, invokes the blessings of Sudharshana Chakra (wheel or discus), the mighty weapon of Lord Vishnu. This powerful homa can help you overcome negativities and enemies and to relieve you from inexplicable sufferings and worries. It can also help stop unforeseen dangers and perils from your pathway to success.